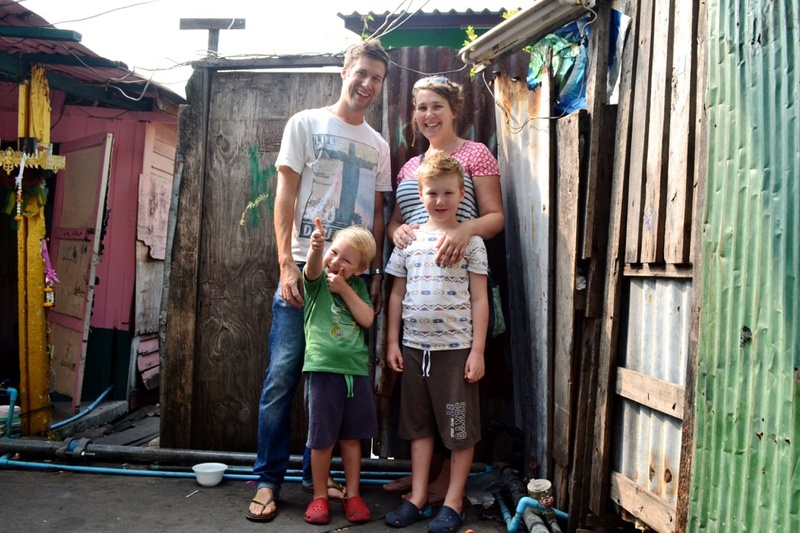 We are the Fletcher family from the UK living in Klong Toey since October 2014. We are part of Urban Neighbours of Hope, a missional order serving in locations facing urban poverty. Here you will find information and reflections on our experience of sharing life in Bangkok’s biggest slum. Click here for a link to our update video at 1 year in. Hi, just to let you know that we are praying for you and your family as you prepare to move to Thailand. I hope you don’t mind, but I’ve copied a photograph of you all to use in our parish magazine and taken extracts from your leaflet? I’m delighted to tell you that our PCC last night agreed to support you financially (£100 per month). The first payment will be credited early October. I will write monthly updates for our parish magazine to keep the congregation in touch with your ministry. If you could send me extra leaflets initially that would help.